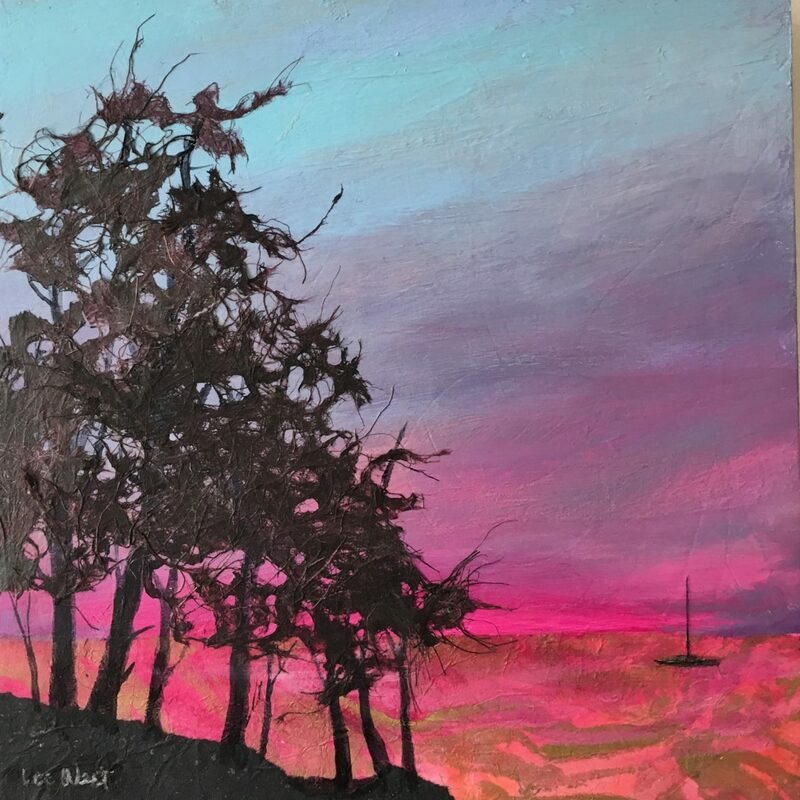 Meet the artists at a reception on Friday, January 26, from 5:30 p.m. to 7:30 p.m.
Florida CraftArt will present The Artists of ArtLofts in its exhibition gallery from January 24 to February 3. 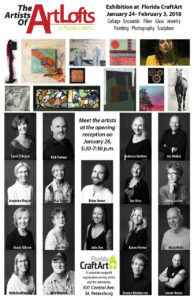 The 18 award-winning and emerging artists will present recent artwork which includes drawings, encaustic, glass, jewelry, mixed media, painting, photography and sculpture. 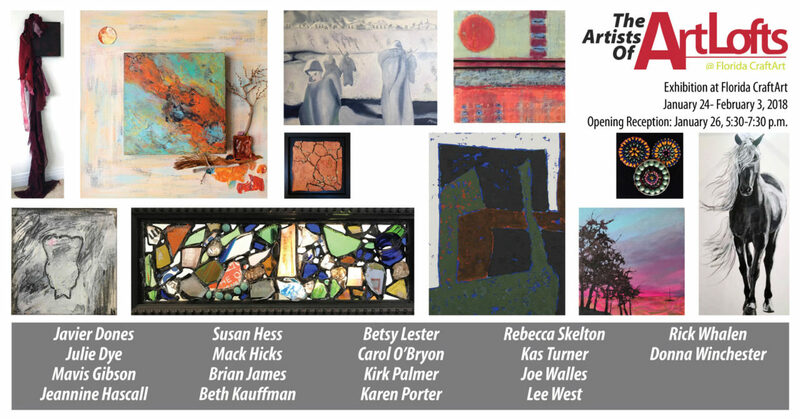 ArtLofts is on the second floor of Florida CraftArt and has working artists’ studios. The studios are usually open for the Saturday ArtWalks or by appointment. 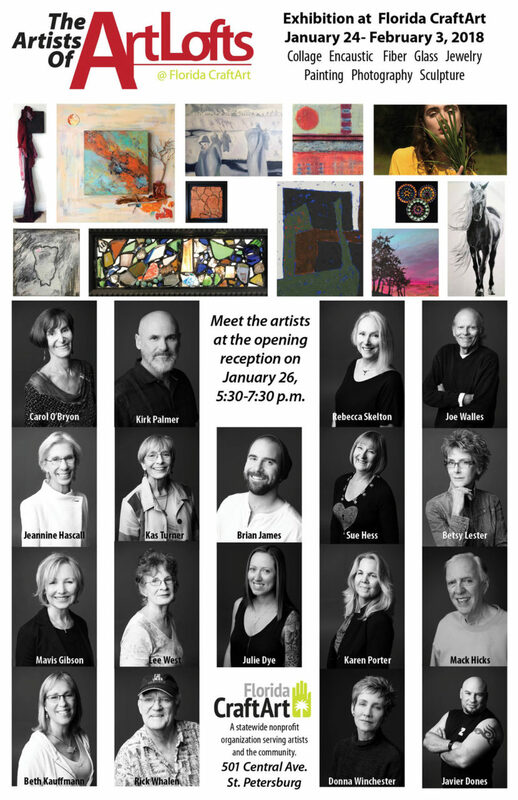 There will be a docent-guided gallery tour on January 31 at 1:15 p.m.
Artists in the exhibition are Javier Dones, Julie Dye, Mavis Gibson, Jeannine Hascall, Susan Hess, Mack Hicks, Brian James, Beth Kauffman, Betsy Orbe Lester, Carol O’Bryon, Kirk Palmer, Karen Porter, Rebecca Skelton, Kas Turner, Joe Walles, Lee West, Rick Whalen and Donna Winchester. 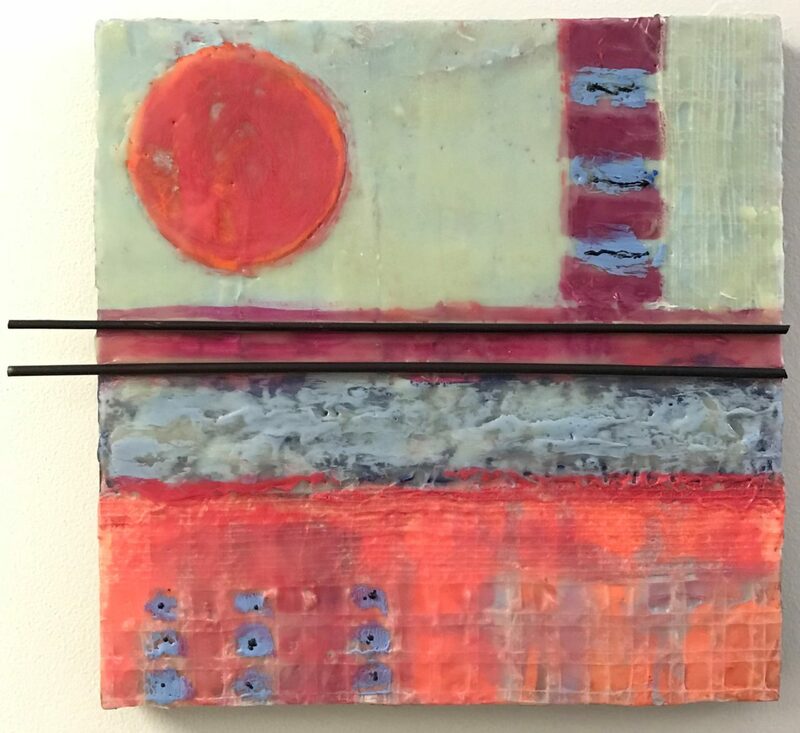 Glass artist Beth Kauffman’s “Legend Series” is a line of glass panels created with reclaimed, broken glass that tell the stories of local historical spots in Florida. Sue Hess creates abstract paintings in encaustic which is a melted wax process.